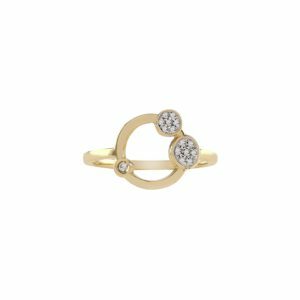 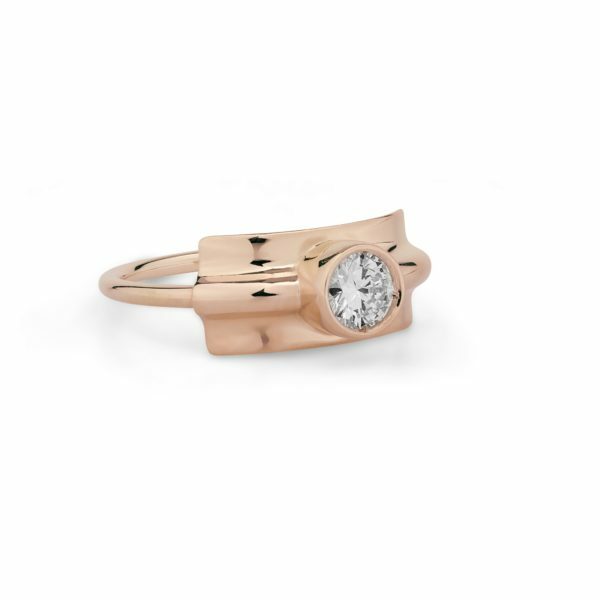 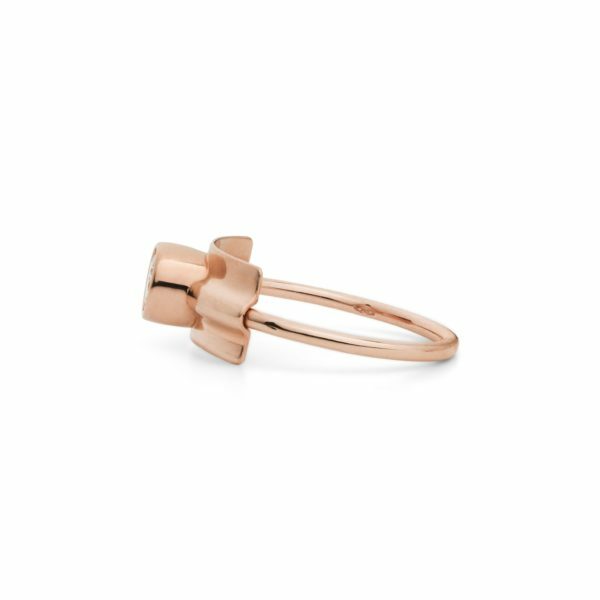 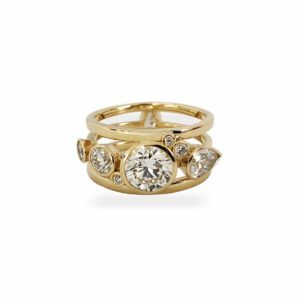 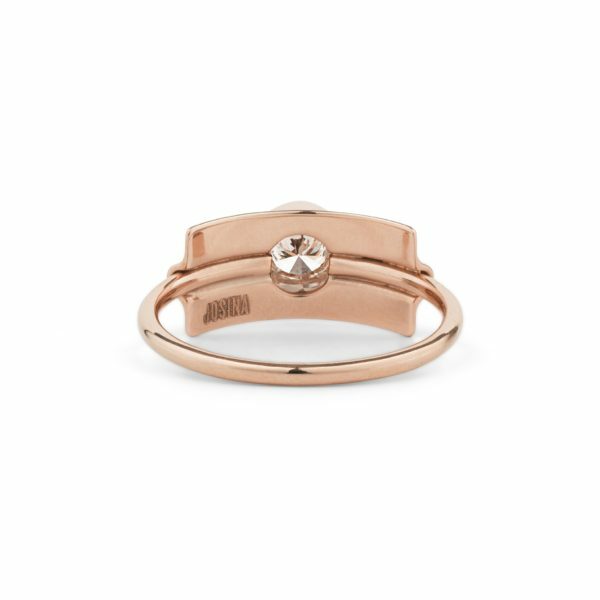 Ring in 18 karat gold with diamonds. 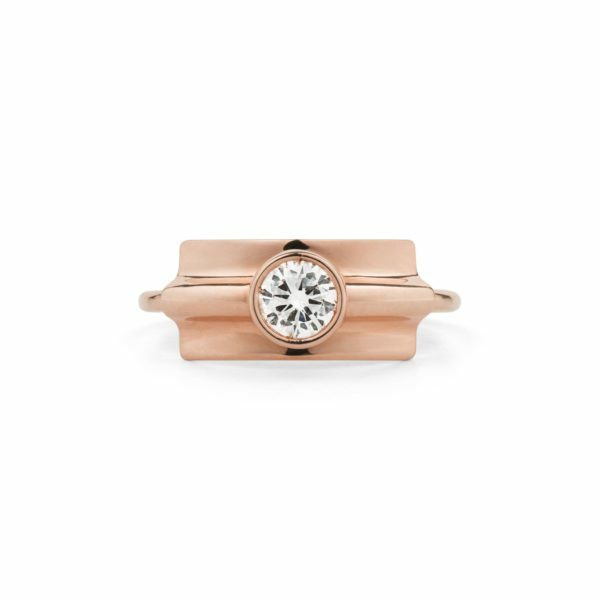 The exquisite ring is set with a 0.41-carat white diamond that reflect the light from contrasting angles. The big sparkling diamond is placed on a folded piece of gold and adds undeniable glamour.